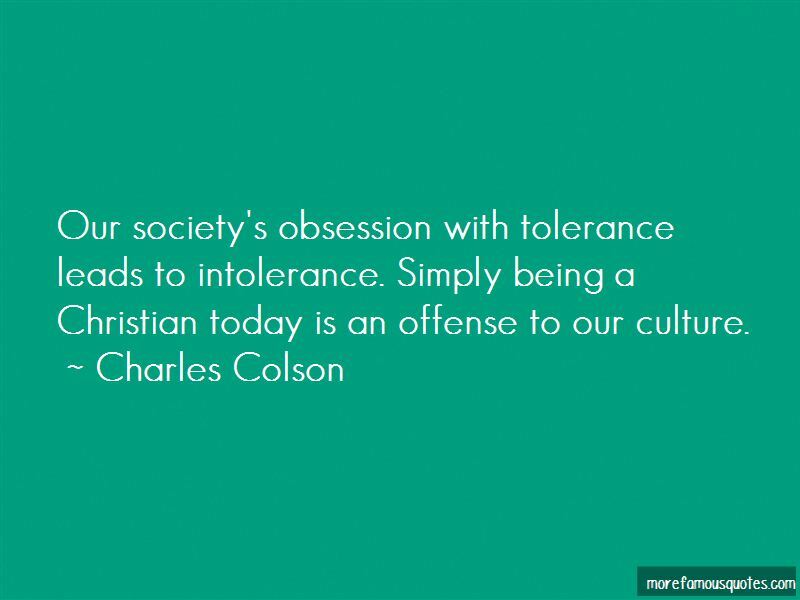 Enjoy the top 77 famous quotes, sayings and quotations by Charles Colson. God doesn't want our success; He wants us. He doesn't demand our achievements; He demands our obedience. The Bible's historical accuracy is a reminder that while "the heavens declare the glory of God," there's also plenty of evidence among the rubble and ruins. People who reject transcendent authority can no longer persuade one another through rational arguments; everything is reduced to personal opinion. Debates about ideas thus degenerate into power struggles; we're left with no moral standard by which to measure the common good. For that matter, how can there be a 'common good' without an objective standard of truth? We Americans think we enjoy self-government. We have all the trappings of self-government, like elections. But in reality, we have gradually lost many of our rights to govern ourselves. We have the form of self-government, but only some of the substance. We are, in a sense, a nation run by a handful of judges who often enforce, not the law, but their personal opinions. 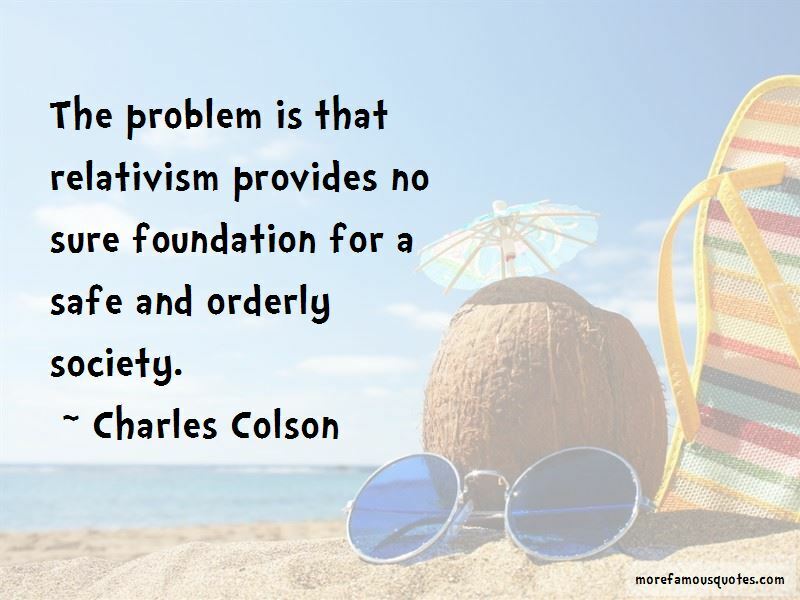 The problem is that relativism provides no sure foundation for a safe and orderly society. Removing religious symbols from public places is not neutrality. On the contrary, it sends a highly negative message - that religion is something shameful, embarrassing, or at best strictly private. 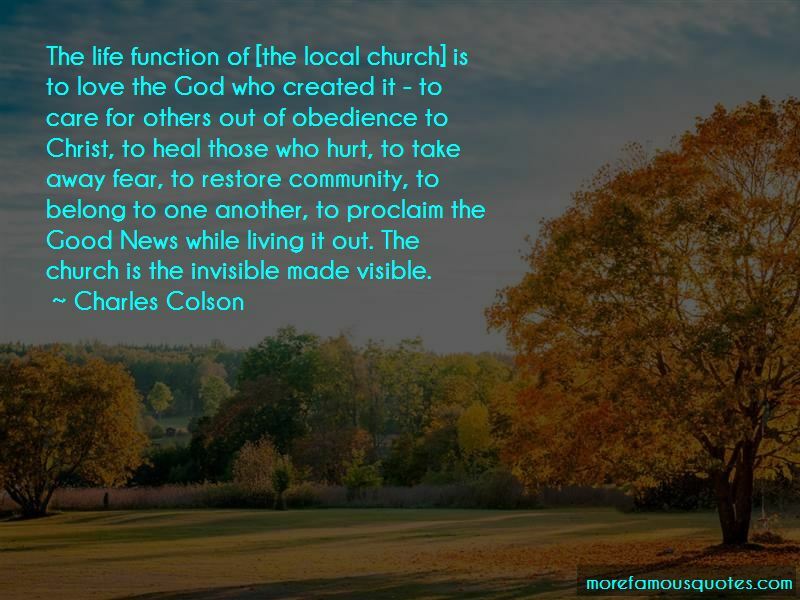 Want to see more pictures of Charles Colson quotes? 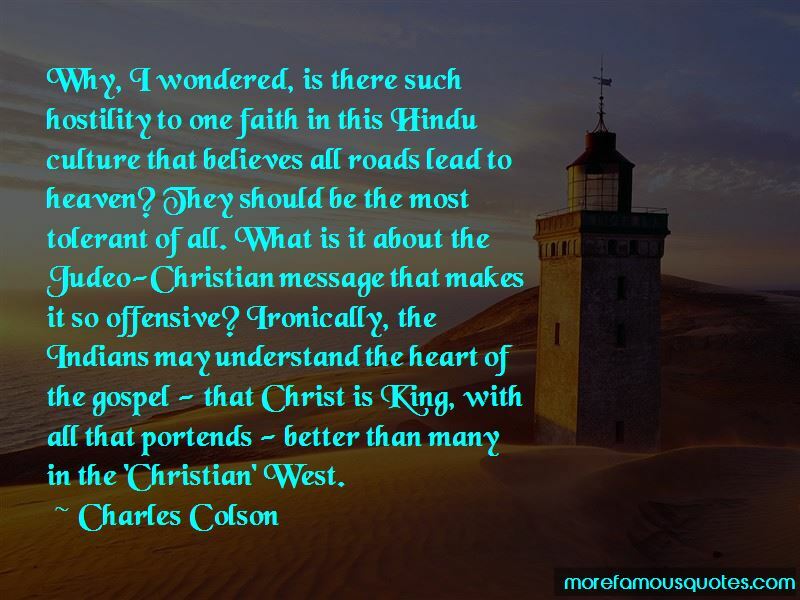 Click on image of Charles Colson quotes to view full size.